As the popularity and versatility of digital signage has grown, the size of typical installations have grown as well. Today, many companies find themselves creating content for and managing hundreds—or even thousands—of screens. In Randy Dearborn's case, that number is more like 50,000. As the vice president of multimedia and guest technology for MGM Resorts International, Dearborn is responsible for all digital signage at MGM's U.S. and international locations. That includes 10 Las Vegas hotel-casinos; locations in Biloxi, Miss., and Reno, Nev.; China's stunning MGM Macau and a handful of other properties. It's a daunting amount of content that requires incredible attention to detail and unending creativity, as well as leading-edge technology to get the job done. For Dearborn, it's all in a day's work. Dearborn came to MGM in 1993, after a seven-year stint with Walt Disney programming audio and video content. As a music major in college, he hadn't expected his career to take the course it did. When Dearborn came on board, the Mirage hotel-casino was looking into buying an Avid, which was a non-linear editing system, to create a new form of digital signage for marketing purposes. From those humble beginnings, as the MGM brand grew, Dearborn's responsibilities—and the possibilities of digital signage—grew exponentially. Now, his team includes about 30 people. As for the possibilities: in most cases, if they can dream it up, they can do it. 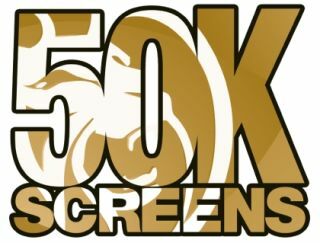 With about 50,000 digital devices in the network, it seems there is a screen for nearly every job at MGM. And it's not all about the casinos. In the Las Vegas properties alone, there are 42,000 hotel rooms, 350 food and beverage venues, 450 retail outlets, 15 theaters and an incredible 3 million square feet of convention space. With such dizzying stats as these, no wonder MGM relies so fully on digital technology. Already, digital signage has replaced most of the static signage throughout MGM's properties. Now, live directional displays intelligently communicate to customers as well. This type of dynamic signage is also more convenient—and more affordable—when major changes occur, such as when a restaurant closes or moves locations. Dearborn and his team can also highlight special events using the digital signs throughout each hotel-casino. Some are even assigned their own Twitter handle during, for example, UFC fights, big-name concerts, tradeshows or holidays. Customers really respond well to such targeted marketing, Dearborn said. Of course, much of MGM's digital signage is used to advertise restaurants, events, concerts, shows and anything else going on at each property. This includes the massive digital billboards that reside on each hotel-casino's sign. Content for such high-profile ads must be carefully considered and targeted. For example, in Las Vegas alone, MGM casinos will soon play host to a total of seven Cirque du Soleil shows. Promoting all those events takes a lot of planning—but in the future, analytics will drive the advertising even more, Dearborn says. “Already, I'll promote or not promote given shows, according to real-time data,” he said. MGM is also getting creative with digital signage in their restaurants. Of course, digital menu boards are common, but now wine and dessert menus are also going digital. Gone are the days of the paper menu. In many restaurants, customers who request a wine or dessert menu are now presented with a digital menu on an iPad. Not only are digital menus more impactful for customers, they're also much more flexible. Better yet, digital menus give Dearborn and his team invaluable information on why customers make the decisions they do. As MGM grew and acquired new properties over the years, Dearborn and his team found themselves working with a huge variety of software and hardware. When the time came to standardize across the MGM brand, he knew he wanted a platform that is both powerful and versatile. Each digital screen is backed by an Apple Mac mini, and can be accessed remotely by Apple Remote Desktop, while content management is done using Four Winds scheduling software. Dearborn's team writes a lot of their software in-house in order to customize everything to their needs. And throughout the properties, custom-made mounts from Premier Mounts hold up industrial-quality digital screens from NEC Display Solutions. For MGM, the next step in digital signage will be analytics, Dearborn said. MGM also wants to perfect their trigger-based marketing to ensure that they're pushing the right content to the right person on the right device. Currently, the MGM team is looking at the full customer digital experience—from the time they consider a trip to Las Vegas, to the trip itself, to after they return home. Dearborn wants to use all the tools at their disposal, including websites, email blasts, apps, SMS messaging, digital signage and more, to create a cohesive, highly effective digital experience—one that will ensure each customer becomes a repeat visitor. In the near future, Dearborn also wants to help re-imagine casinos altogether. Younger generations expect, and are drawn to, interactivity. How will the casino floor of tomorrow appeal that? Dearborn guesses interactive race and sports books, where guests are invited to take control of massive digital screens, or video games that combine betting and hands-on play. Megan Weadock is Associate Editor for Signage Solutions Magazine and can be reached at editor@signagesolutionsmag.com.